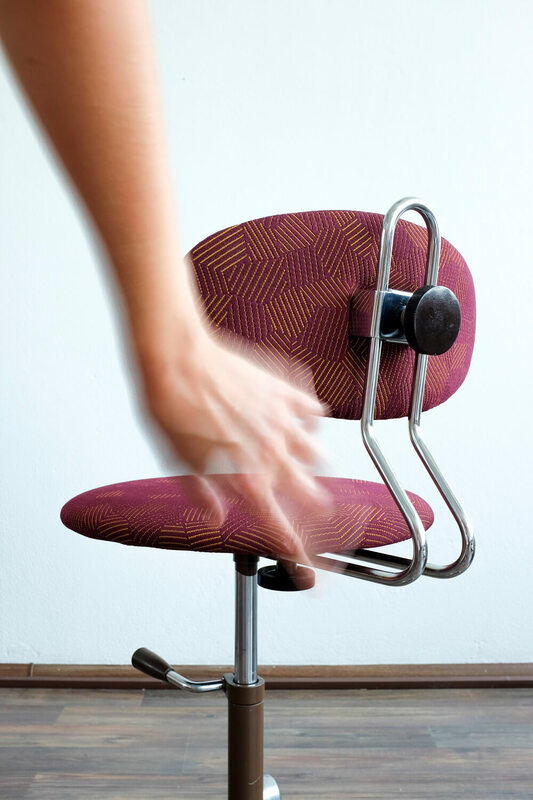 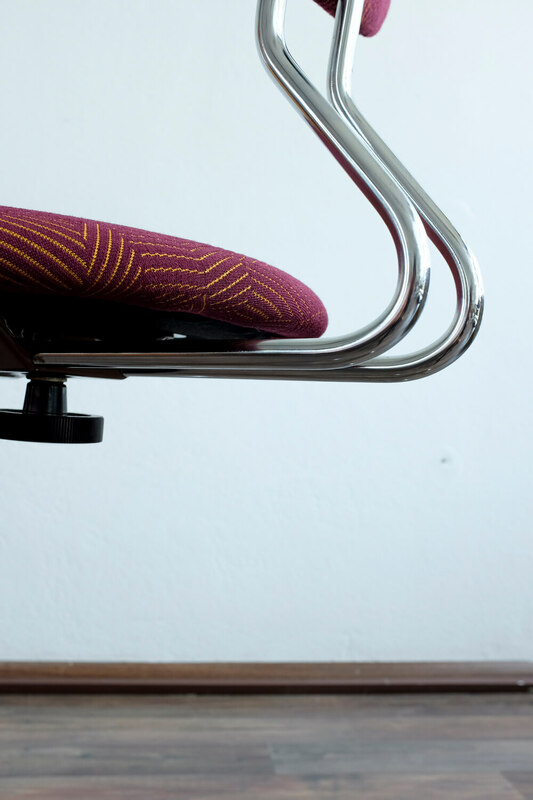 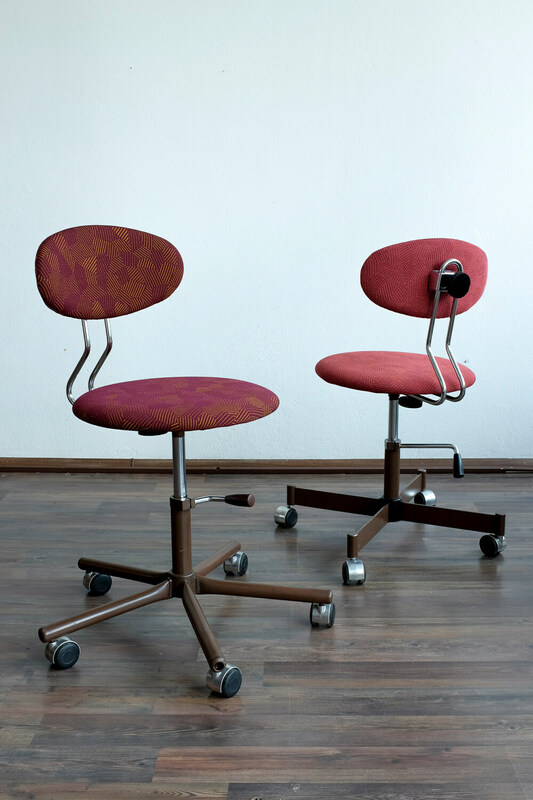 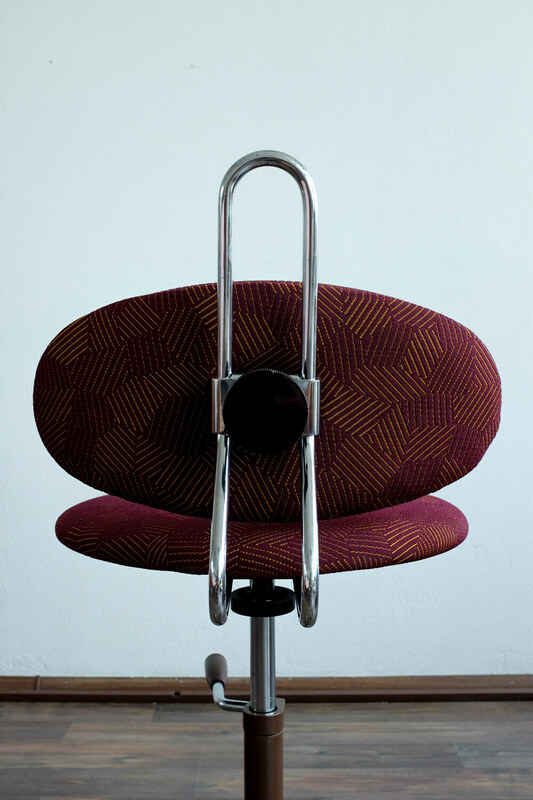 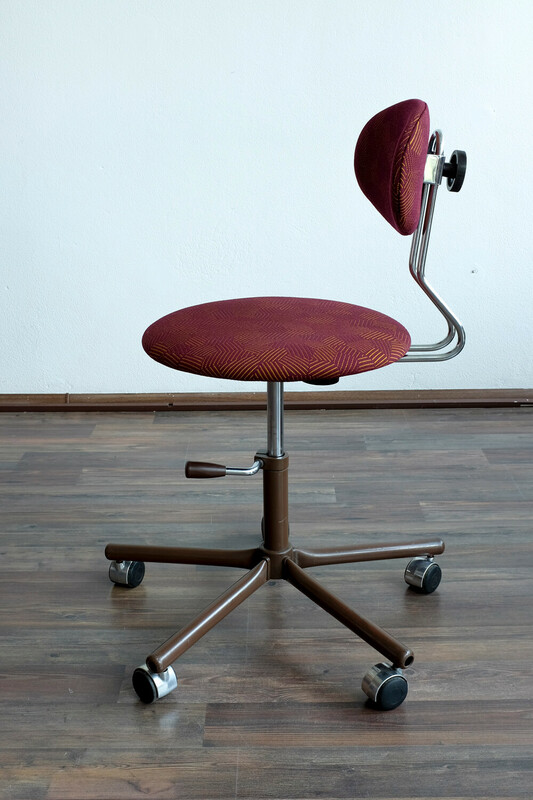 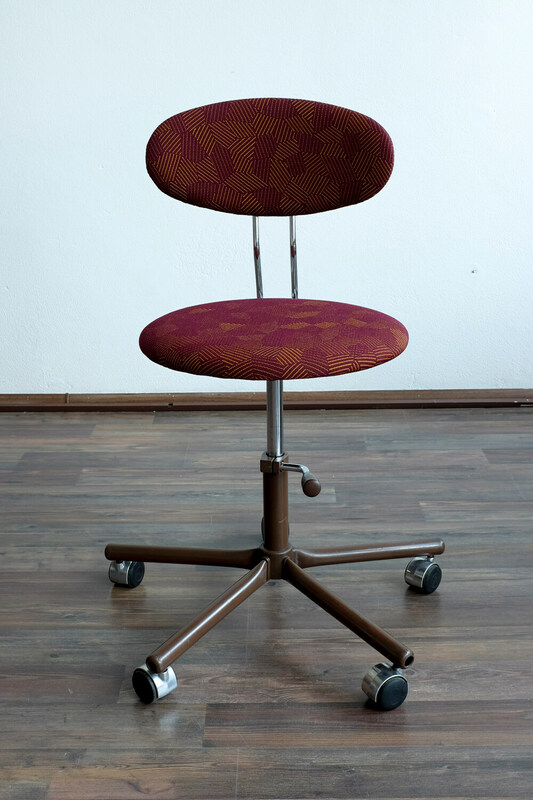 Vintage adjustable office chair made by Kovova Czechoslovakia in the 70s. 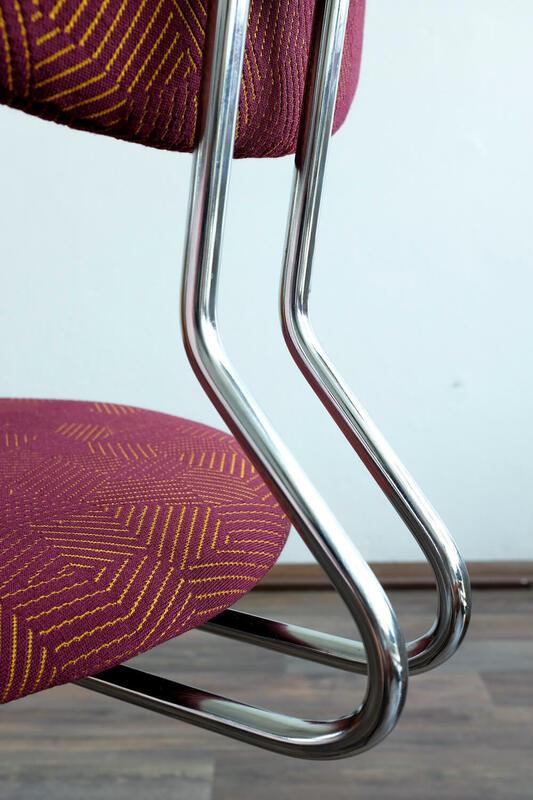 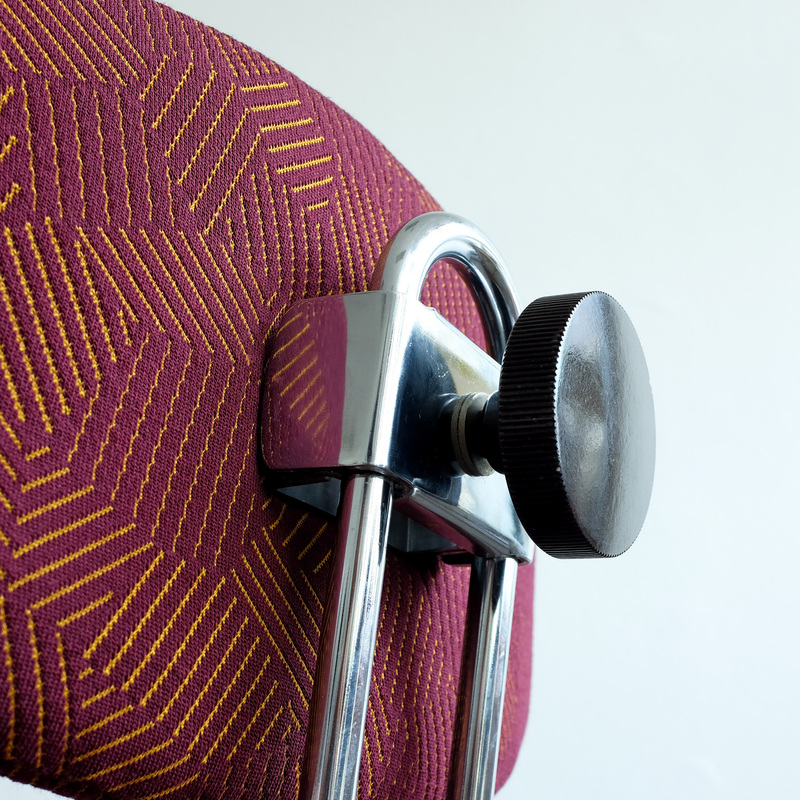 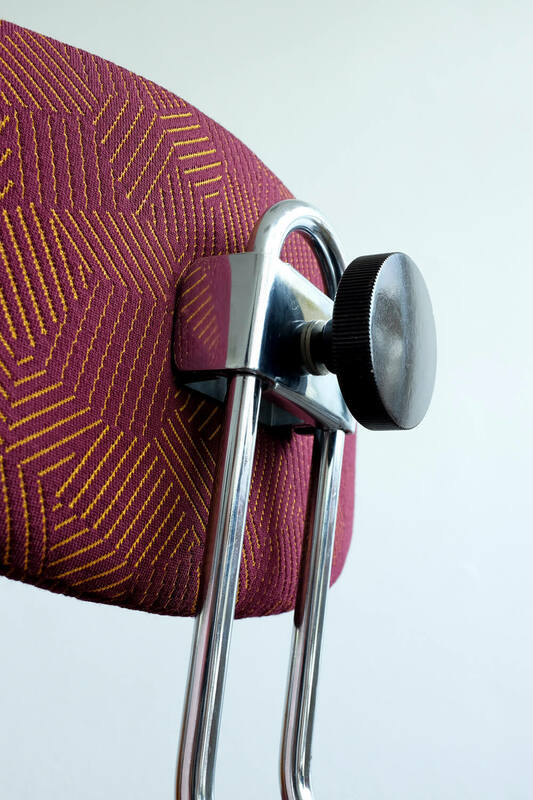 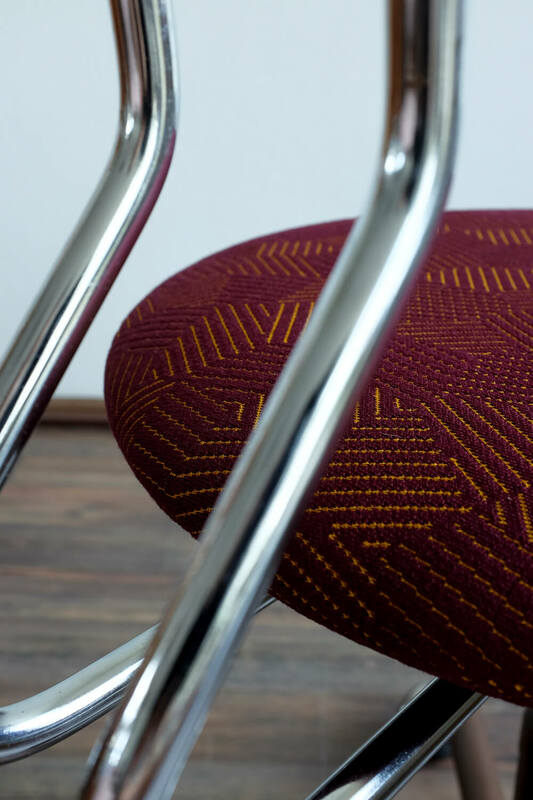 It was reupholstered with Razzle Dazzle fabric from Febrik (NL). 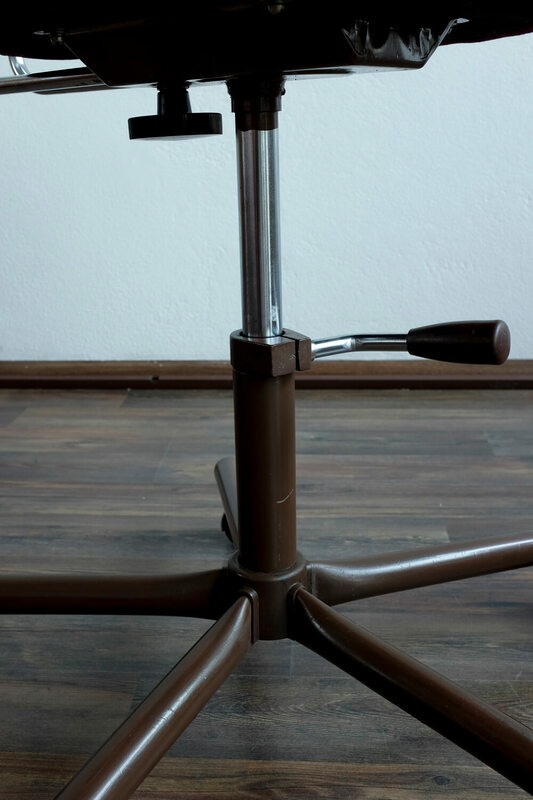 The metal leg was completely cleaned. 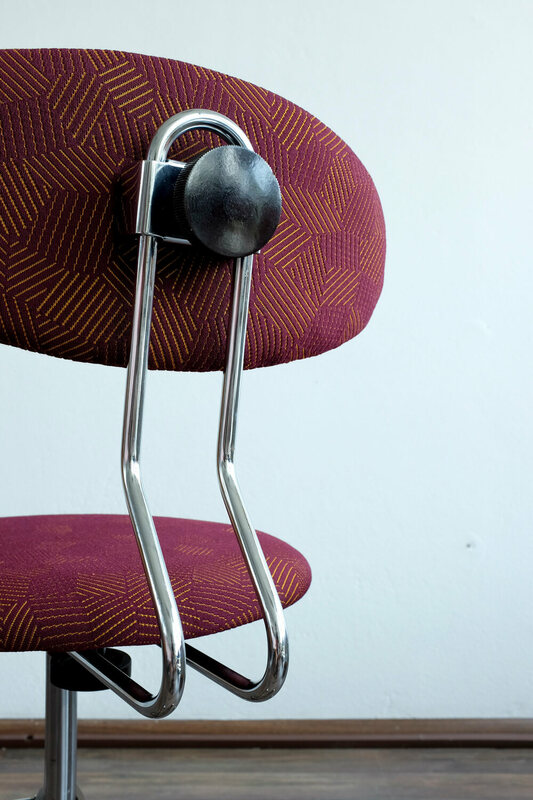 The seat height could be regulated with the lever on the side. 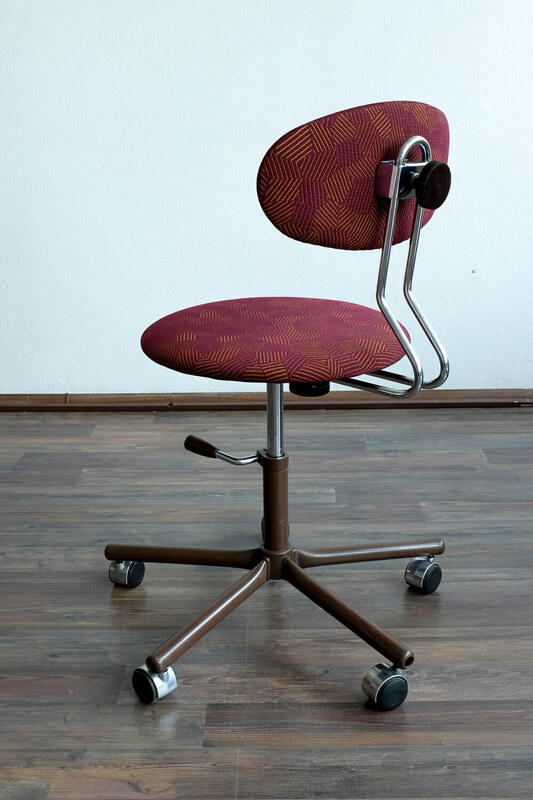 The backrest is adjustable as well. 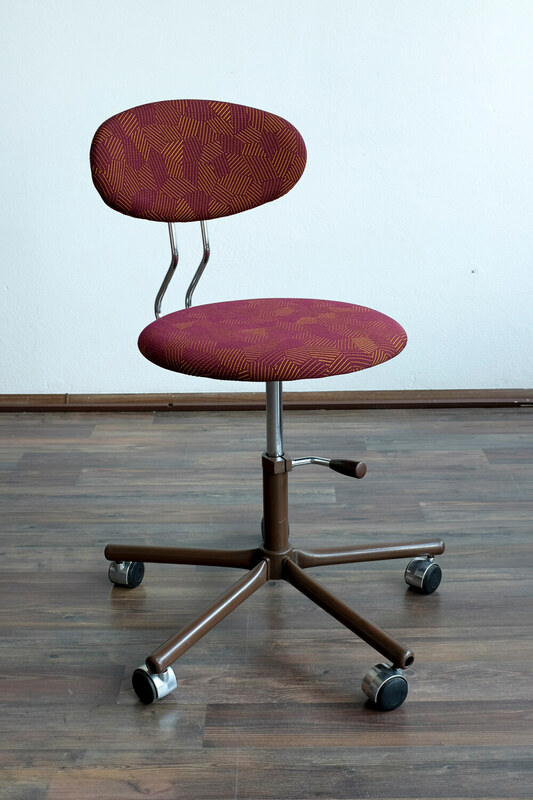 This model of Kovova chair is very comfortable.